Swimming performance is considered a main character determining survival in many aquatic animals. Body morphology highly influences the energetic costs and efficiency of swimming and sets general limits on a species capacity to use habitats and foods. 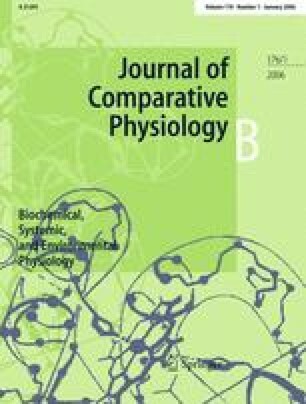 For two cyprinid fishes with different morphological characteristics, carp (Cyprinus carpio L.) and roach (Rutilus rutilus (L.)), optimum swimming speeds (U mc) as well as total and net costs of transport (COT, NCOT) were determined to evaluate differences in their swimming efficiency. Costs of transport and optimum speeds proved to be allometric functions of fish mass. NCOT was higher but U mc was lower in carp, indicating a lower swimming efficiency compared to roach. The differences in swimming costs are attributed to the different ecological demands of the species and could partly be explained by their morphological characteristics. Body fineness ratios were used to quantify the influence of body shape on activity costs. This factor proved to be significantly different between the species, indicating a better streamlining in roach with values closer to the optimum body form for efficient swimming. Net swimming costs were directly related to fish morphology. The authors wish to thank Thomas Mehner for helpful comments on the manuscript, Christof Engelhardt and Alexander Sukhodolov for assistance with the flow velocity calibration and an anonymous referee for helpful comments on an earlier draft of the manuscript. The experiments comply with the German Guidelines for Animal Care.